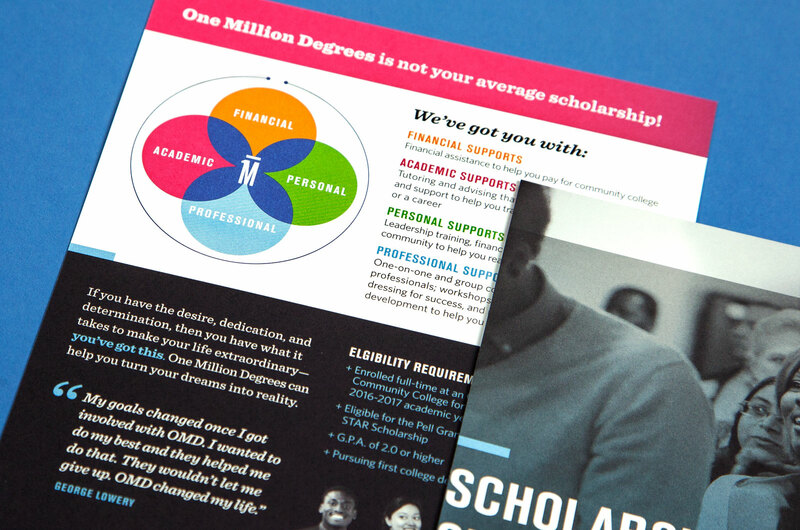 OMD’s goal is to serve 1,000 scholars by 2018. 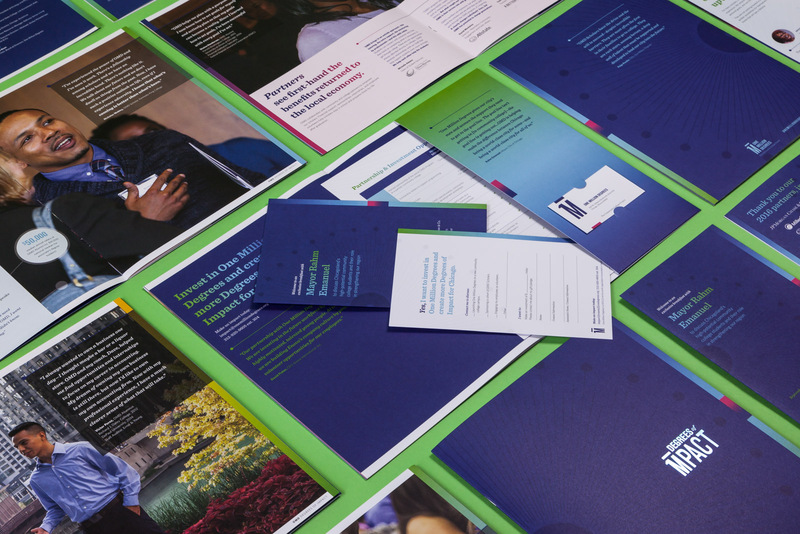 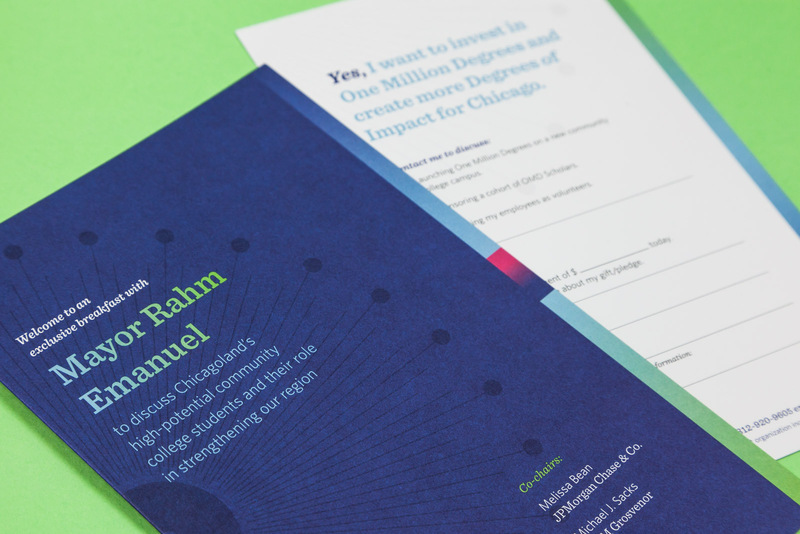 Through ongoing dialog, strategy, and design, Bark is helping them achieve that goal by creating collateral materials that reinforce their brand, convey their mission, and broaden their community. 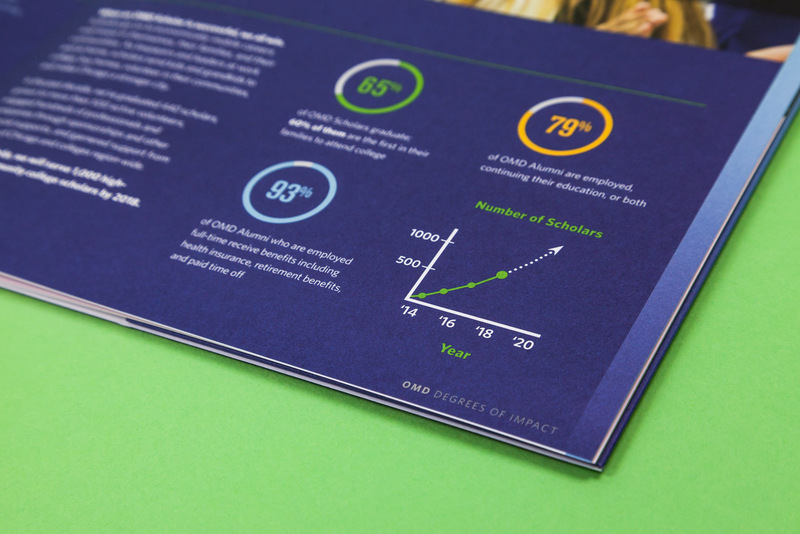 To see additional work we’ve developed for OMD, see their brand and annual reports. 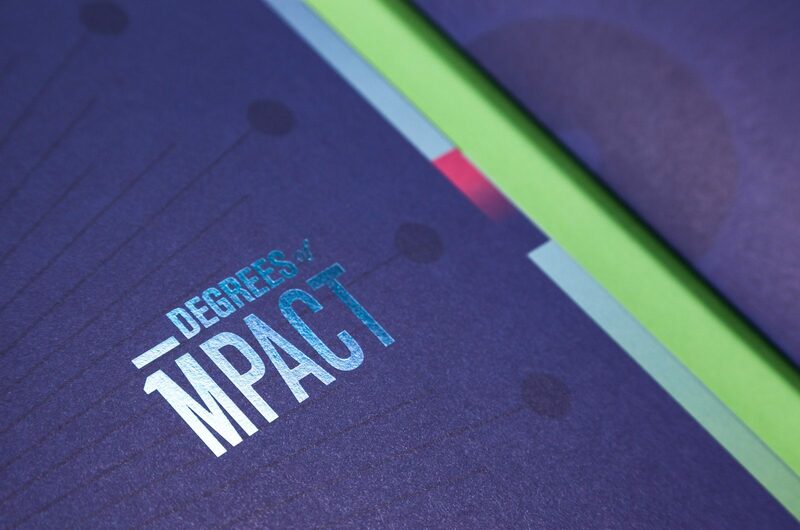 OMD’s Degrees of Impact initiative aims to raise $10 million by 2018. 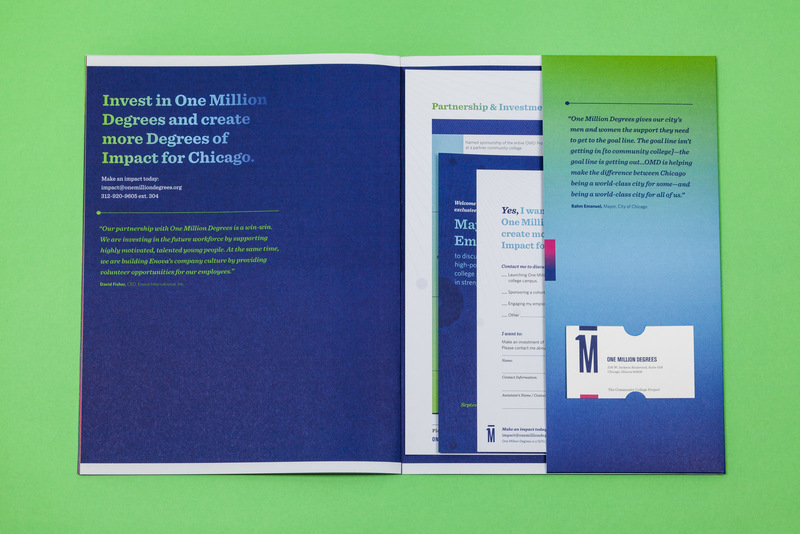 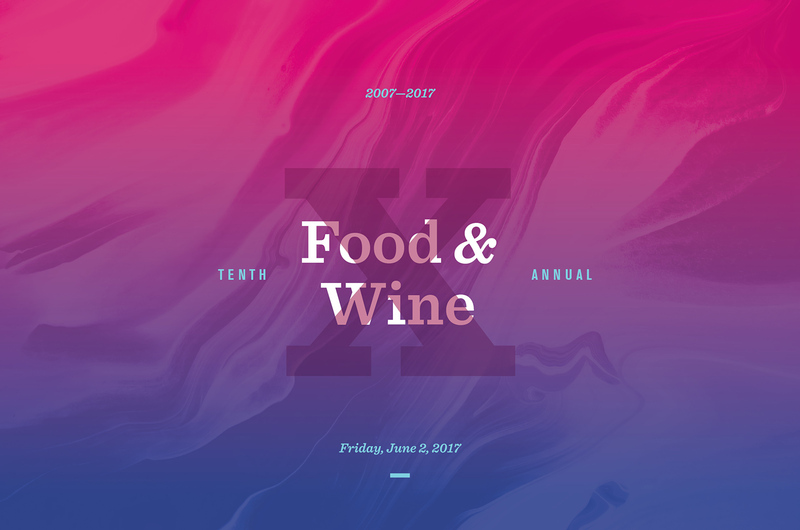 The goal of the project was to create a piece that would help OMD with their fundraising efforts and leave an impact with potential funders. 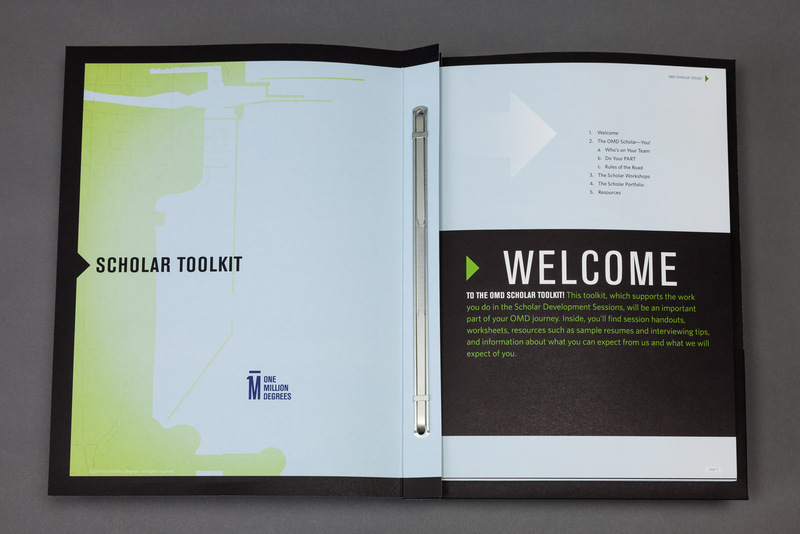 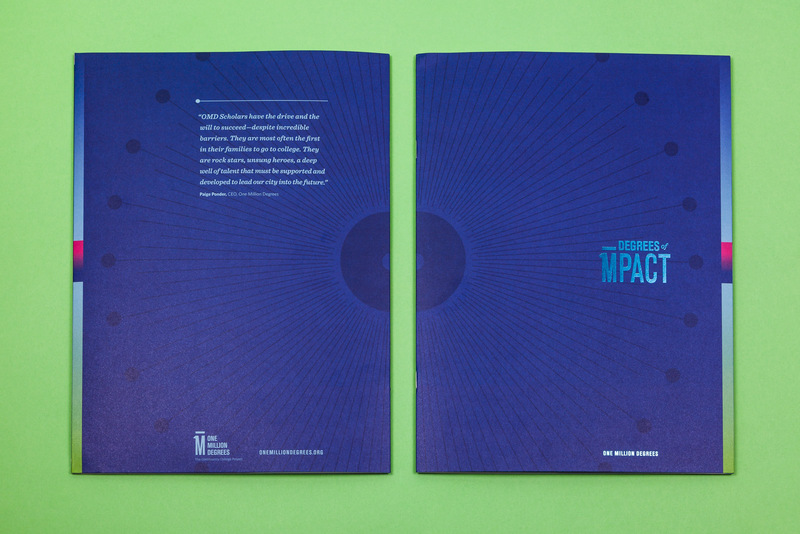 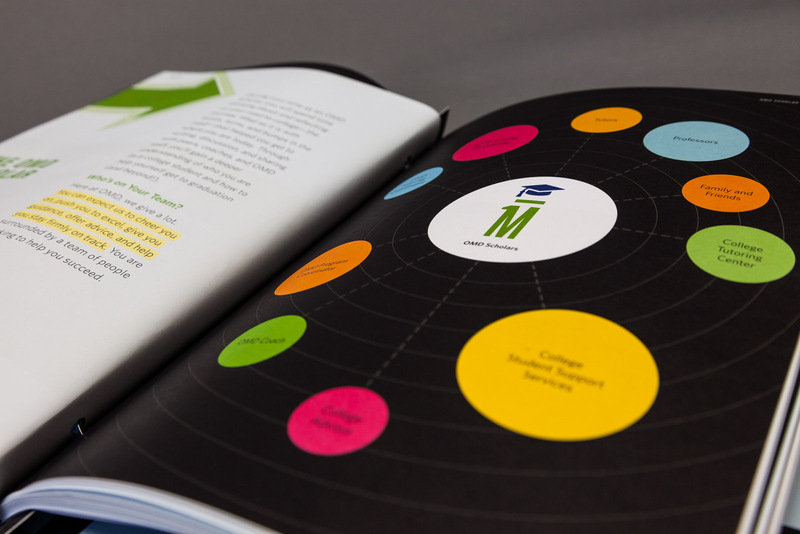 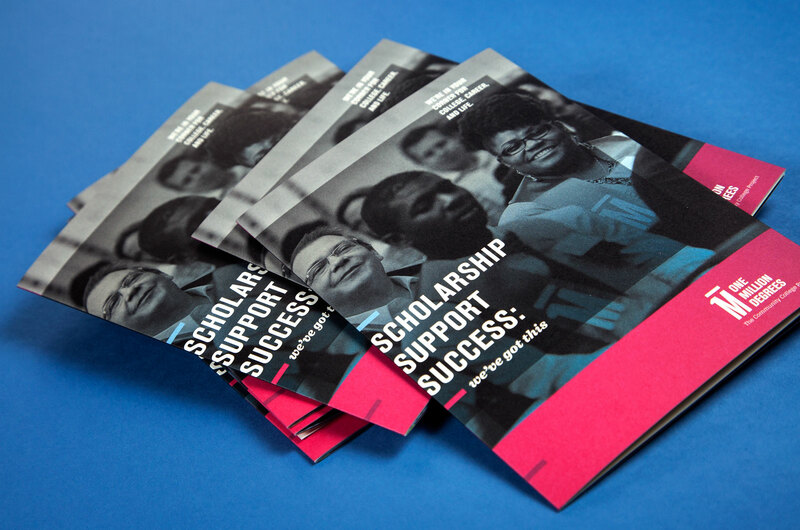 The customized logo is metallic foil stamped on the cover to grab attention and be reflective of the impact the scholars, alumni and other stakeholders have on our community and local economy. 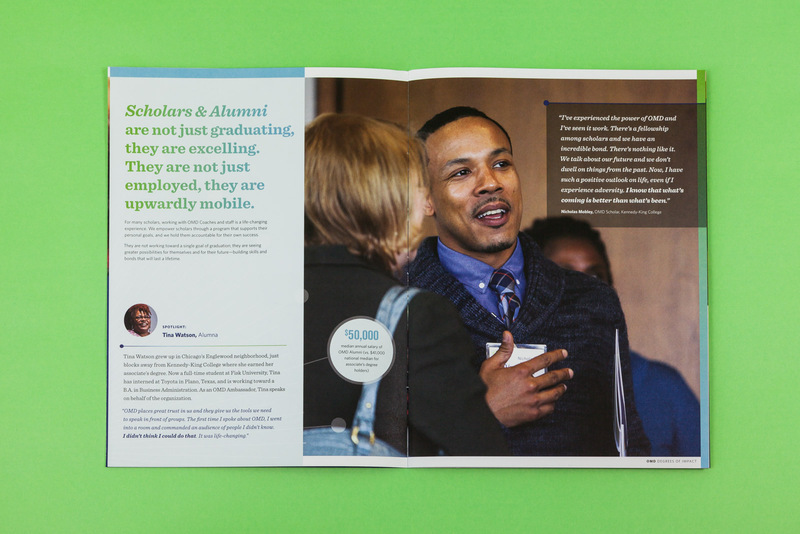 The content was developed and designed as easy to read quotes and statistics to help guide you through the organization and degrees of impact. 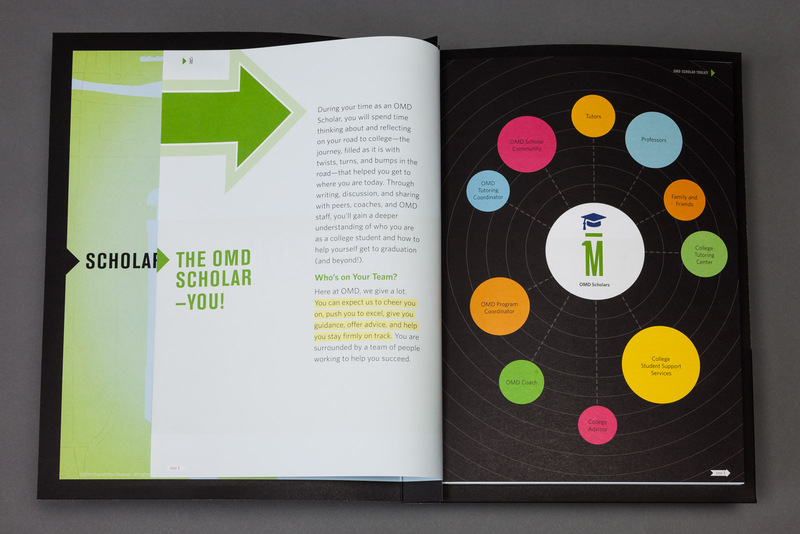 A scholar’s tenure at OMD is typically three years. 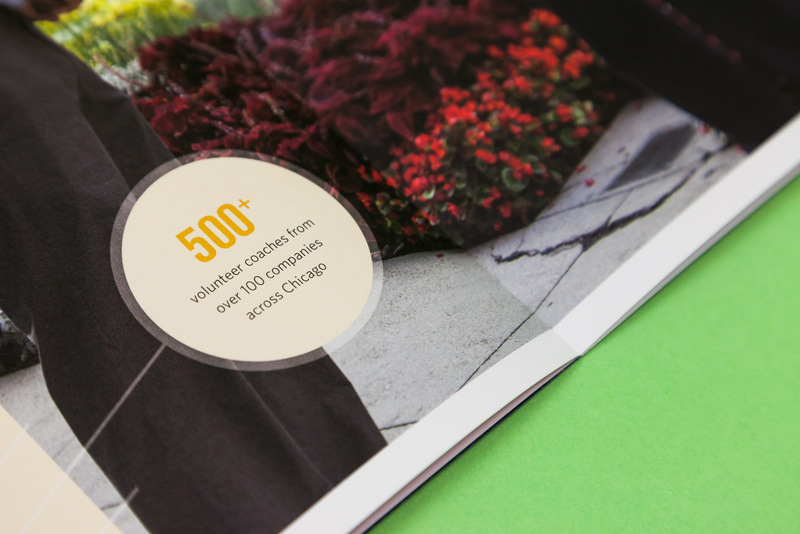 During this time, they are matched with coaches who provide a wealth of knowledge, guidance, and support. 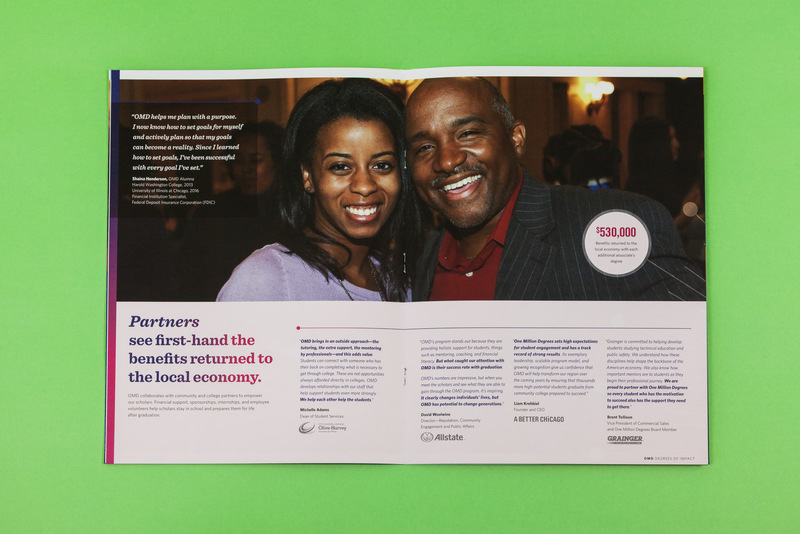 OMD’s incredible success rate is oftentimes due to the strength of these relationships. 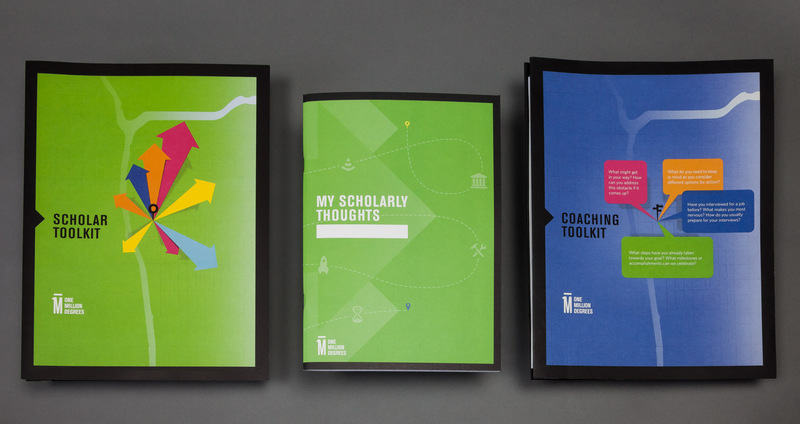 We developed toolkits for scholars and coaches that help these relationships grow. 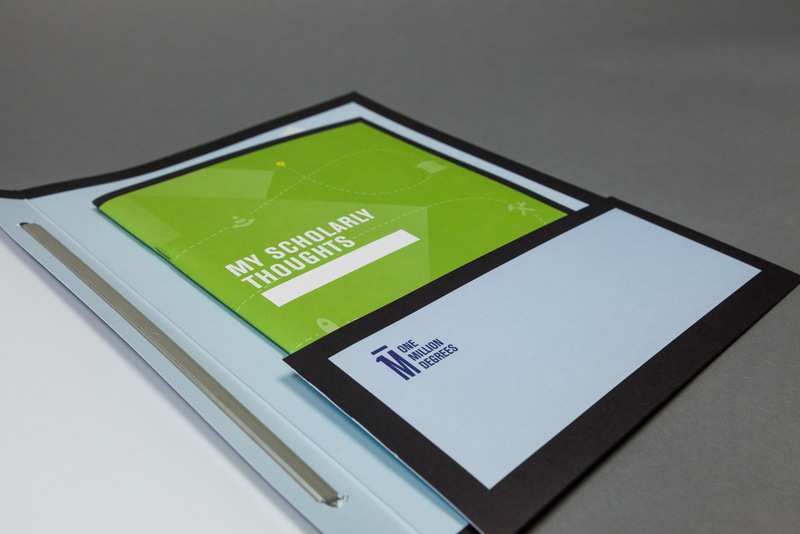 Designed to expand, the binding allows for successive year’s information to be easily added to the toolkits so that the scholars can use them throughout their years with OMD. 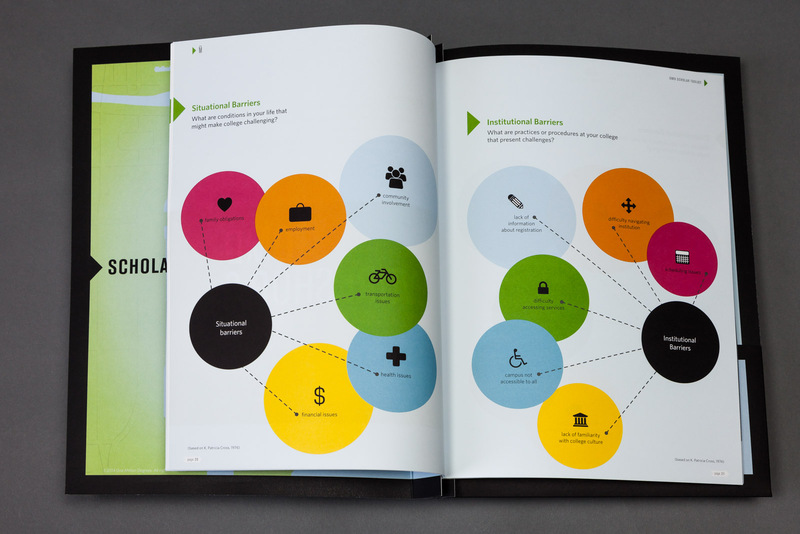 The cheerful design adds fresh insight into the curriculum. 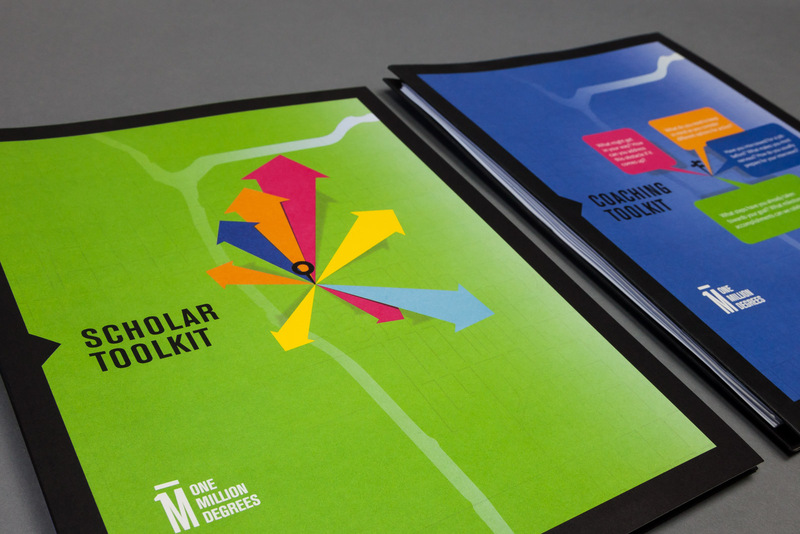 Interested in becoming a coach? 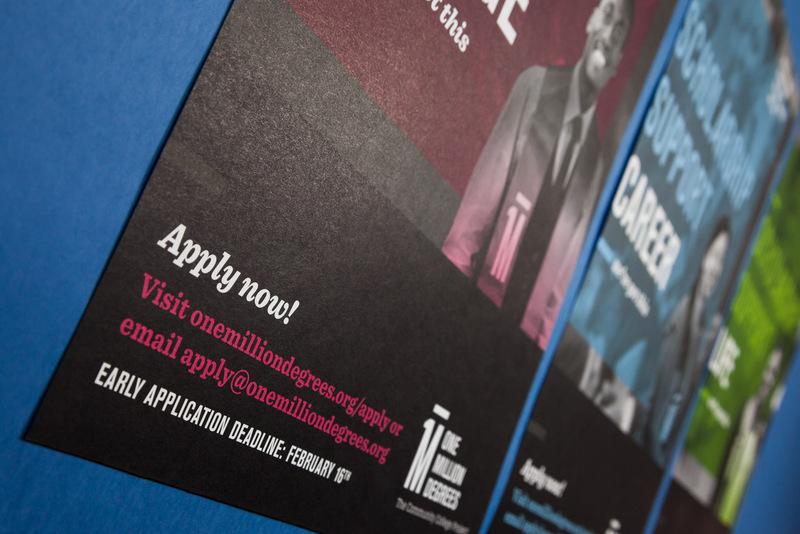 Visit OMD online to learn more. 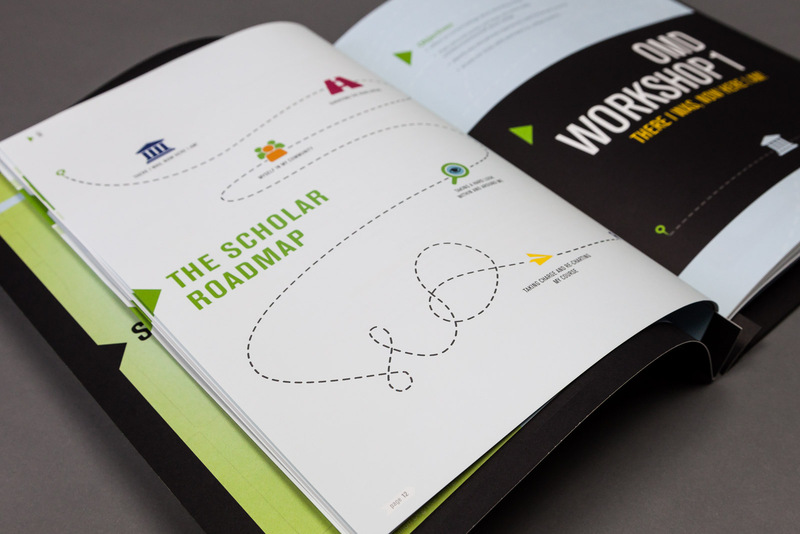 Radically increasing the amount of scholars OMD is currently serving required approachable, clear design and messaging. 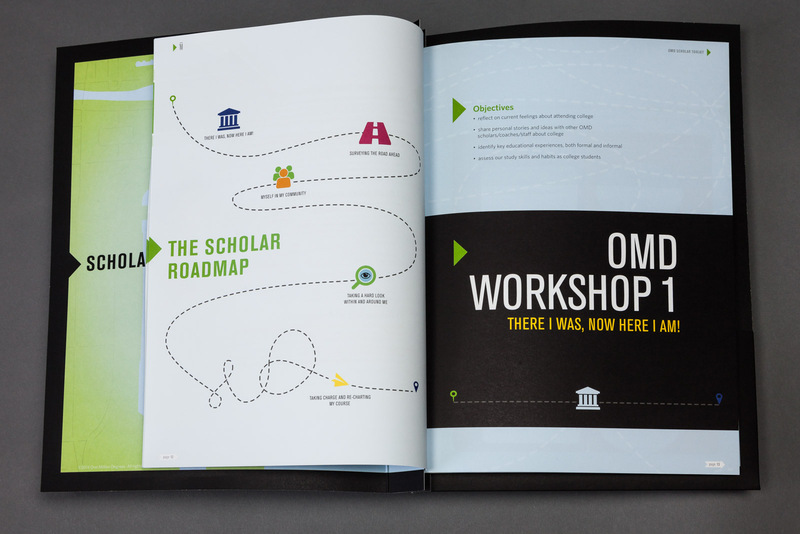 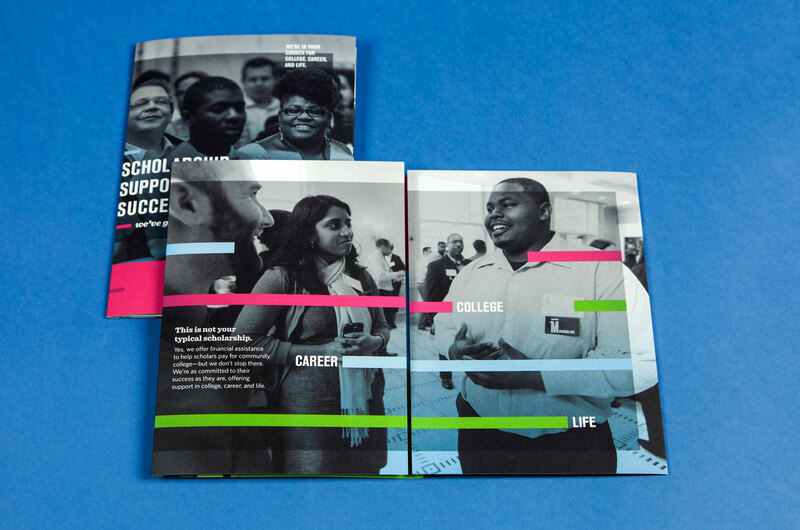 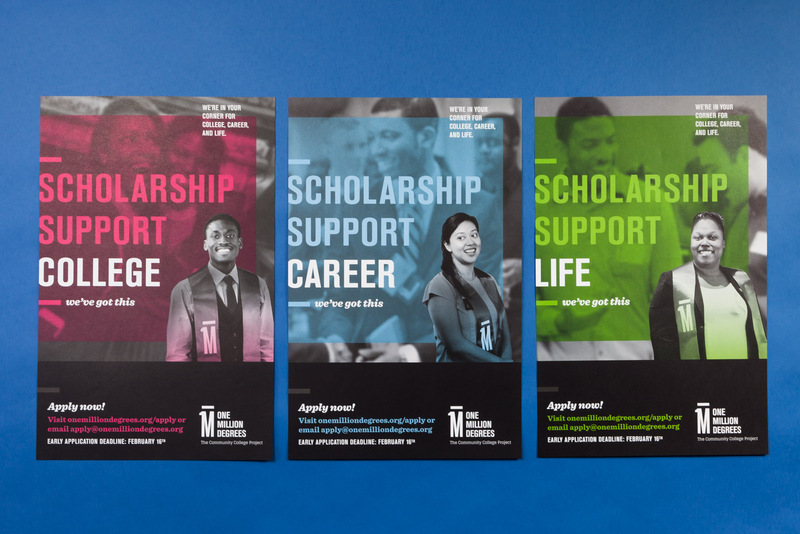 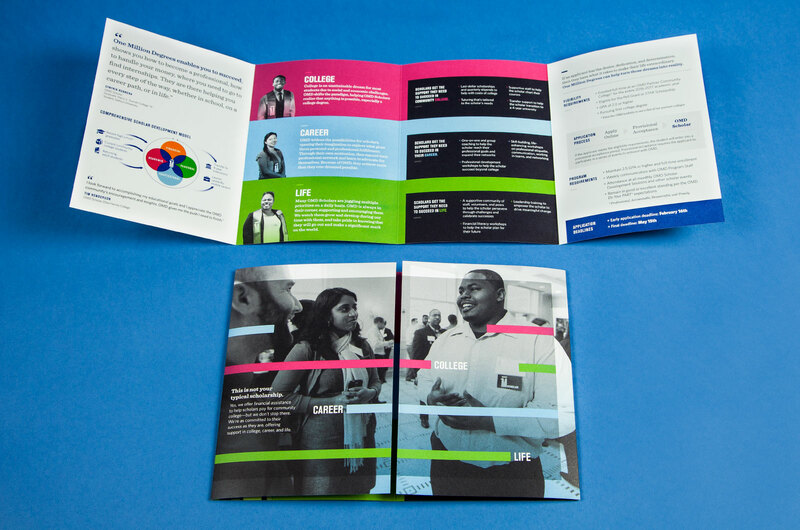 Working closely with OMD, we developed messaging to help articulate how the organization enables scholars to succeed in college, career, and life.